Cleaning your gutters can be a dangerous, unpleasant experience. 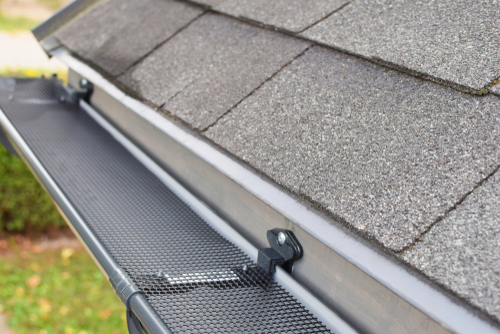 With Gutter Guards, you can end your yearly gutter cleaning. Gutter Guards form a mesh guard that covers your gutters, preventing debris and leaves from entering and clogging your eavestroughs, while allowing water to flow easily through your gutter system. 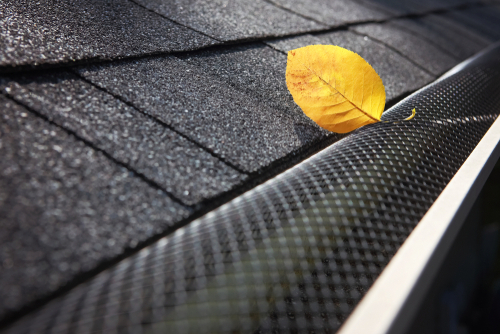 Installing a leaf guard system in your gutters can be beneficial in many ways. If a storm or wind gust brings a sudden influx of leaves, branches and/or other debris onto your roof, Gutter Guards help prevent buildup and alleviate flooding. Investing in leaf guard gutters can pay off exponentially in saving you time and money. At Complete Gutters, we’ve installed hundreds of leaf guard gutter systems in Vancouver and the Lower Mainland. We would love to help you save time and money with a leaf guard system for your gutters, whether you are a homeowner, property manager or commercial establishment. Complete Gutters performs leaf guard installation for homes, and we also install leaf guard gutters for businesses and commercial properties. Contact us today to find out how we can help you with a leaf guard gutter system. Need Help with Leaf Guards? Gutter Guards prevent clogs from forming, keeping water flowing freely through your eavestroughs, gutters, downpipes and spouts – keeping your home exterior clean and free of water buildup, leaks, flooding, mold, mildew, etc. Think of it as an added line of defense to prevent damage to your home, meaning peace of mind for you and your family. Complete Gutters provides complete gutter services, whether that’s cleaning, installation, or implementing our Leaf Gutter Guard system. 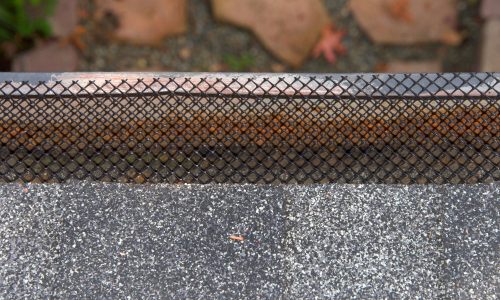 Let us give you the best cleaning and protection for your gutter system in the Lower Mainland. Leaf guard gutter systems come in a variety of configurations. Complete Gutters will visit your home or business, assess the environment and discuss the best options with you. As in most other instances, there is a balance and cost-benefit with how much you spend on leaf guard gutter systems. Contact Complete Gutters in Vancouver for all your leaf guard needs, from home and commercial leaf guard gutter installation to leaf guard repair, removal and replacement. We’re the gutter experts, providing friendly, professional service, backed up with a 10-year parts & labour warranty.